Rooster were an English hard rock band from London. Formed in 2003, the group featured vocalist Nick Atkinson, guitarist Luke Potashnick, bassist Ben Smyth and drummer Dave Neale. 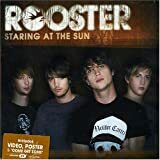 Signed to Brightside Recordings, the band released their debut album Rooster in 2005. The group's second album Circles and Satellites followed in 2006, before the band broke up in 2007. 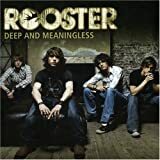 Often considered a pop rock or teen pop band in a similar vein to Busted, Rooster were more influenced by hard rock acts such as Led Zeppelin and Cream. Atkinson and Potashnick led the majority of songwriting on the first album, with Smyth and Neale contributing more to the second. Rooster was a commercial success, reaching number three on the UK Albums Chart.